Long hair is still super popular with women (men to a lesser degree than it was in the 1990’s). One classic look is long, straight hair, which for some women, happens naturally who have straight hair. For other women, they need to use a hair straightener. Both look great. We include both in this gallery, but you can click the layered link above to see just that style. 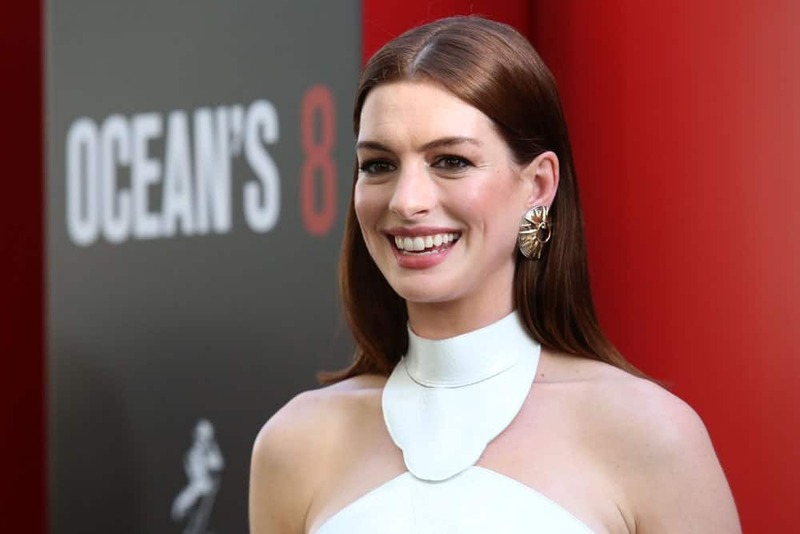 From Evangeline Lilly to Emilia Clarke to Anne Hathaway, Hollywood starlets have been rocking this super-chic hairstyle. If you have shiny, glossy locks that you want to show off to the maximum, part them in the middle and let the straight locks flow down your back. “The Hobbit” actress channeled her inner elf by sporting a messy fishtail braid. She also gave her hairstyle a modern twist by adding blunt, eye-skimming bangs to the lovely hairstyle. Everyone has loved Laura Dern since she first appeared in “Jurassic Park.” Decades later, Dern is as fresh-faced and beautiful as ever, and some of it is because of her flawless fashion sense. Here, the actress has styled her blonde tresses into sleek, straight layers and swept them to the side with a deep part. The look is extremely elegant. The beautiful Nicole Kidman has always looked stunning, whether she arrives on the red carpet or is out on a casual walk. Although the actress’s natural hair color is strawberry blonde, she looks just as good with icy blonde. Here, Kidman has added some texture on her fine hair and swept them to the side for a casual but chic look. Queen Bee looks great whether she is sporting her natural hair or rocking a super-straight blonde style. Here, Beyonce shows how to rock a genie braid. To get the look, iron your hair sleek and super straight. Pull it back tightly in a high ponytail and then weave it into a tight braid. The “Fifty Shades of Grey” actress has almost always sported bangs with her beautiful brunette hair. Here, Dakota Johnson parted her fringe in the middle to create a curtain effect. She then let her long hair flow down casually on one shoulder, in a messy waterfall. Anyone with straight hair can create a wonderful messy looking ponytail. 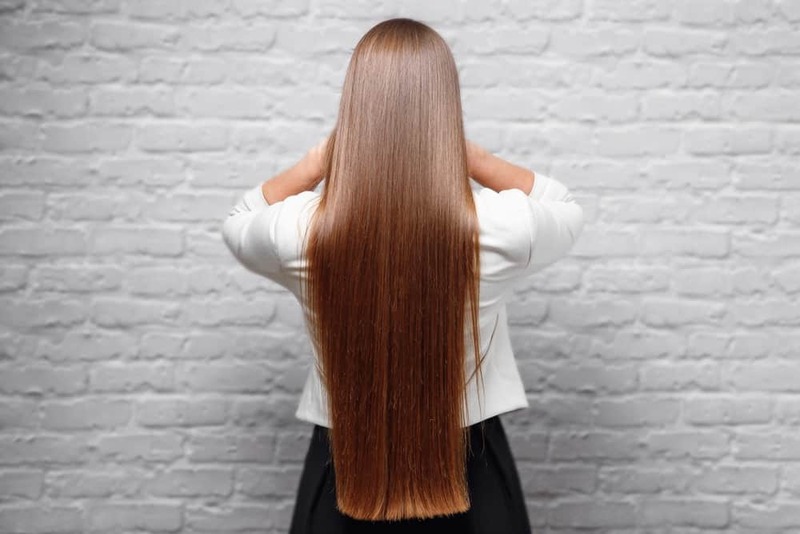 This looks works best on second-day hair but if you have super silky strands, try some texturizing products to put some natural-looking crimps into your hair. 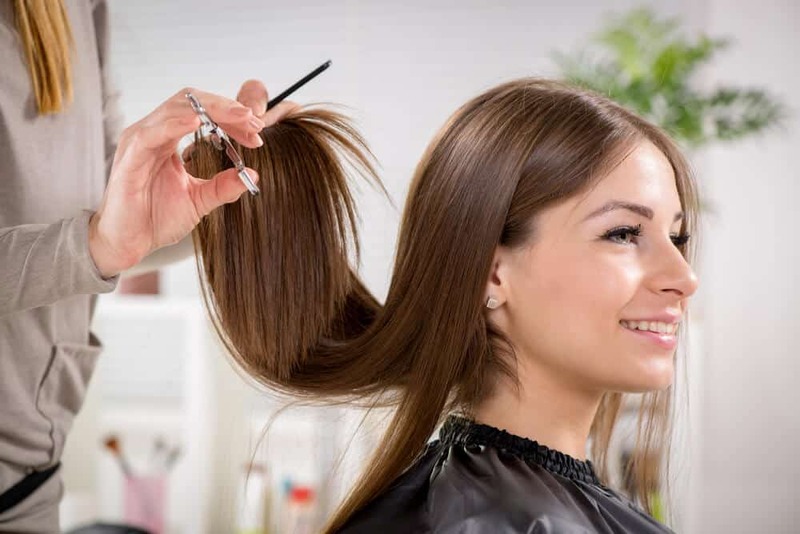 Then with minimum brushing, pull the hair back into a messy ponytail. Are you tired of your hair always getting into your eyes but don’t want to tie it up either? 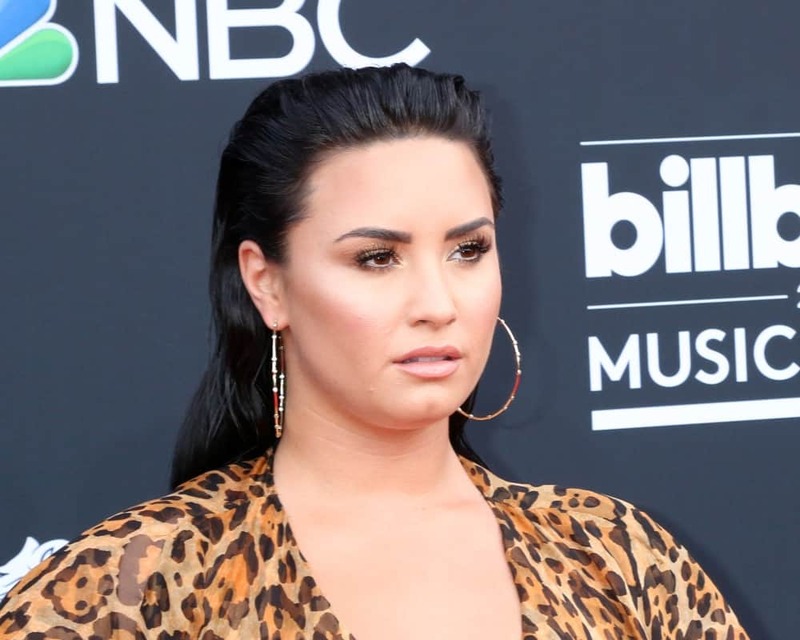 Try this slicked-back style like Demi Lovato. Put some pomade or hair mousse on your hair and comb it back from your forehead and behind your hair, for a wet, just-out-of-shower look. If you have hair as long and luxurious as Kim Kardashian’s, you are sure to flaunt it. Try a sky-high genie ponytail that lets your hair flow down, slick and smooth from your head. 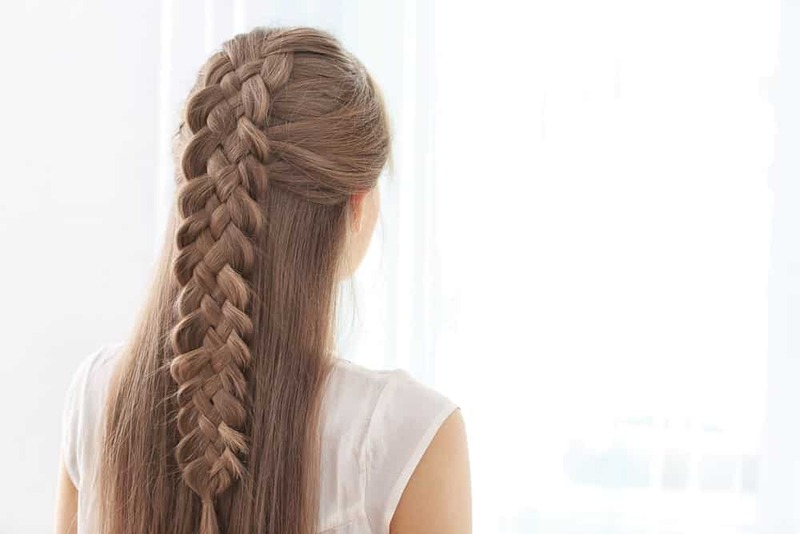 This is a stunning look for anyone with Rapunzel-like hair. These days, fantasy colors like silver and rainbow are very trendy. Get a balayage or an ombre in multiple different shades to get a mermaid effect. Check out the above style done in various shades of purple, pink, silver and blue. For a super pretty party or wedding hairstyle, try this beautiful crown braid hairstyle. Twist your hair from the front and then bring it to the side and then the back. Then weave the rest of the locks into a tight and intricate braid of your choice. 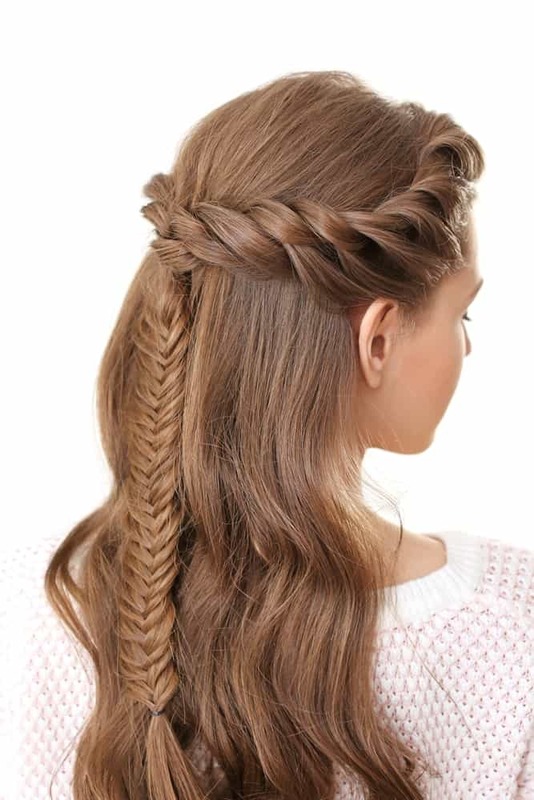 You can either incorporate all your hair into the braid or leave half of it flowing down your back. A beautiful statement balayage means you dont need to fuss with your hair that often. Ask your stylist to give your hair a beautiful, vivid color, like this chestnut-and-fox-red balayage. Just comb your long hair down your back and leave it flowing. It is perfect for all occasions. When you have super fine hair like Elizabeth Olen, some texture goes a long way. Add some texturizing product to give your hair some volume. 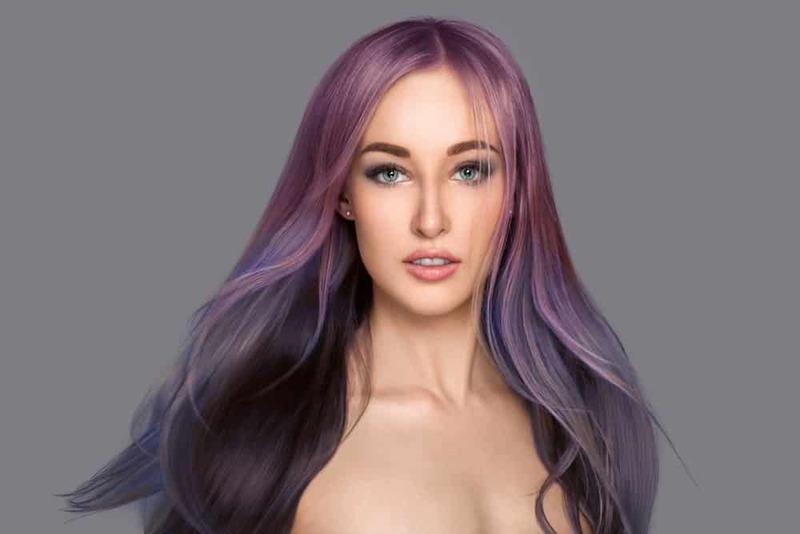 To add more dimension, get your stylist to give you some bright-colored ombre that brightens up your look. Ponytails are so underrated, but Selena Gomez shows how they can be elegant and perfect for any occasion if you do them right. Here, Gomez opted for an off-center part, with her long hair loosely pulled back in a ponytail and draped on her shoulder. A good blow dry should never be underestimated, as shown by Amanda Seyfried. The actress parted her hair in the middle in a standard style but gave her long layered locks a lot of volume and oomph with a great blow dry. Go for a casual and minimum-fuss hairstyle similar to Mila Kunis in this picture. Get your stylist to give you some spiky layers and part your hair simply in the middle. Make sure your hair is bright and shiny like Kunis, too. Cindy Crawford may have been a model years ago, but her style sense is still flawless. The former supermodel trimmed her front hair into a feathery cut and then blew out the rest of her layers artfully on her shoulder. This style is easy to manage and is soft and natural-looking. Gwen Stefani hasn’t seemed to age a bit in decades, and part of that may be due to her signature platinum blonde locks. The rockstar styled her pale locks in a style reminiscent of Alice in Wonderland. She also paired the look with a wide, glittery headband, giving her a feminine look. With minimal makeup, Michelle Rodriguez always looks beautiful and stunning. Here, “The Fast and the Furious” actress channeled her inner wild child with her edgy hairstyle. Rodriguez slicked her hair messily back from her forehead and let her locks tumble down her back. The look is grunge but very chic-looking as well. Lady Gaga is a master of unusual hairstyles and outfits. This time around, the singer has taken her long mane of naturally blonde hair and colored it in beautiful silver and blue. She has then wrapped the length in a tight, sleek twist on top of her head. The Indian actress had her stylist give her layers with choppy ends. She then gave her hair a deep part from the side and let her dark brown locks tumble to the side on her shoulder. Do you have bangs that are so long they get in your eyes if you try to style them across your forehead? Copy Heidi Klum’s style by ironing them out straight and then parting them in the middle to incorporate them seamlessly into your hair. They look even better if you have layers. 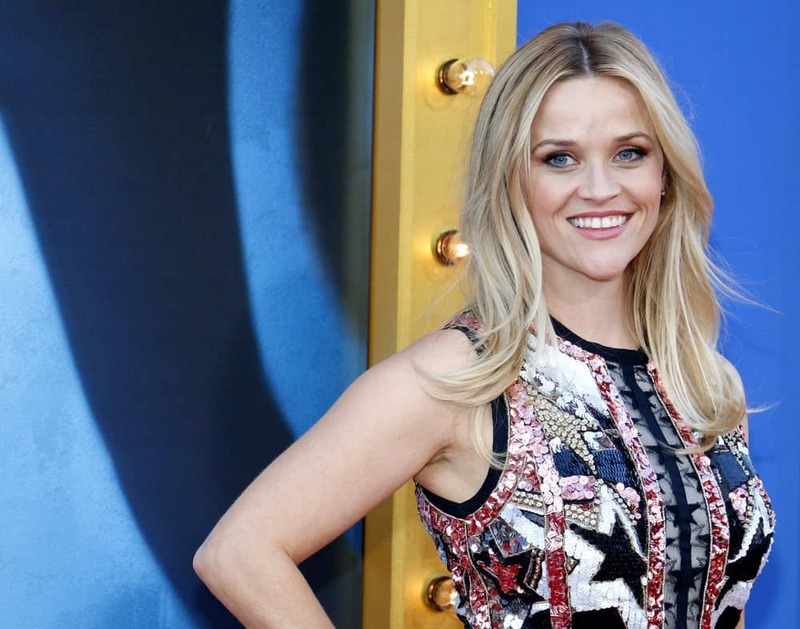 For a cool, casual and sassy style, try Reese Witherspoon’s middle-parted blown out hair. Part your hair in the middle and tease the hair on the back of your head for a little lift. Then blowout your locks and spray them with some hair product to keep them in place. Want to look casual but elegant at the same time? Try going for Chrissy Teigen’s look. The model tightly pulled back the hair from the front and the side of her head into a messy updo. She then let the rest of her beautiful long hair fall down her back. The style looks great with messy, ruffled hair, so keep the brushing to the minimum. Want to add some oomph to your classic layers. Part them with a crooked, asymmetrical parting that starts from the side and disappears into the middle of your head, just like Cameron Diaz did. When you have hair as silky, glossy and long as Sofia Vergara, it is best to keep them loose. Ask your stylist to iron out your hair to a slick-straight style and part it in the middle like Vergara. For some wow factor, add some highlights or balayage to your hair. Zooey Deschanel rocked her signature bangs since even before she first started coming on “New Girl.” Deschanel’s blunt cut style has popularized the look among the masses. For people with straight hair, there are lots of options. You can either keep your locks long and flowing or give them a slightly tousled look like Deschanel. Hair looks great at all lengths. But longer, straighter hair means you have more hair to have fun with. Check the above styles to see which ones would look good on you.